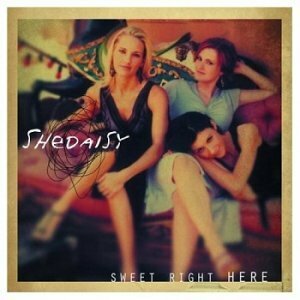 Sweet Right Here is the third studio album of country music trio SHeDAISY. It was released on June 8, 2004. It peaked at 16 on the Billboard 200 chart and at number 2 on the Country Albums Chart on June 26, 2004. This album has received Gold certification by the RIAA for shipment of over 500,000 copies.